I’m not a nature-loving type of person. Not that I tend to destroy nature, what I meant is that my idea of fun usually doesn’t involve images of trees, flowers, and skies -- especially when traveling. 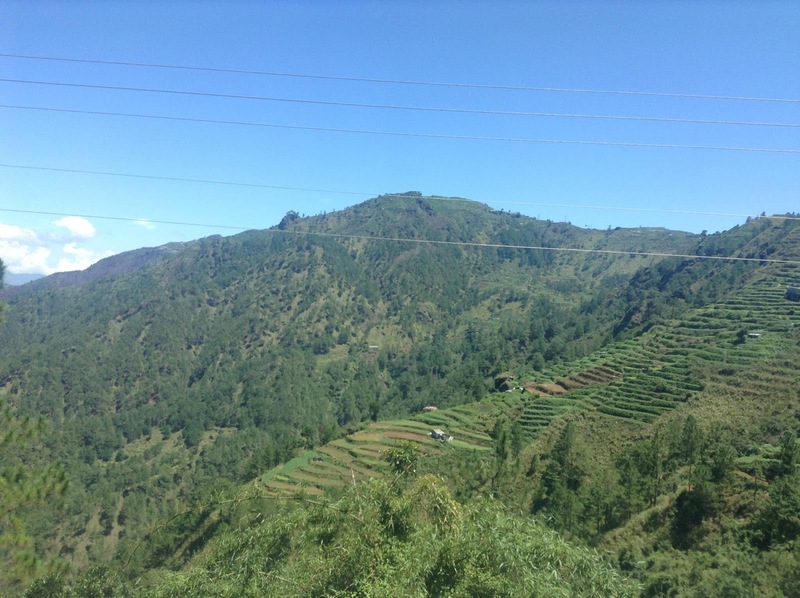 On my trips, I usually prefer exploring the city, food-tripping, and going to theme parks over hiking, trekking, rock-climbing, and similar stuff, so when I went to Sagada and fell in love with it, I was immensely astounded. I couldn’t explain it. It was something I felt but couldn’t speak about. 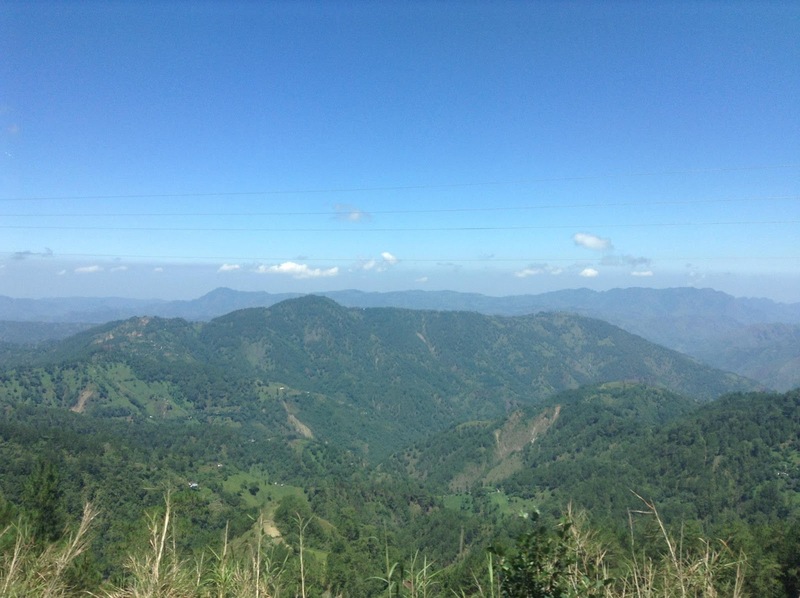 The lush greenery, the cool weather, the foggy skies—everything about Sagada hooked me in, and it was as if I wanted time to stop so I could stay there longer. 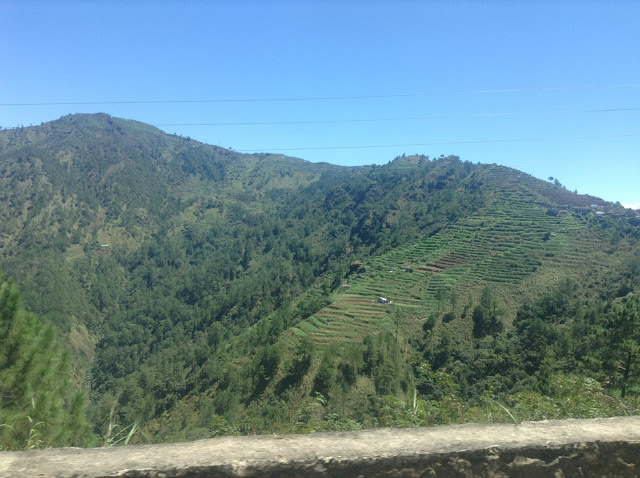 It takes six hours to get to the Sagada, Mountain Province from Baguio—six hours filled with amazing views: steep rock formations that flank you as you drive through the narrow mountainside road; rice terraces looming beyond the fences that safeguard you from the cliffs; clean rivers shrouded by fog. Everything was picture-perfect! 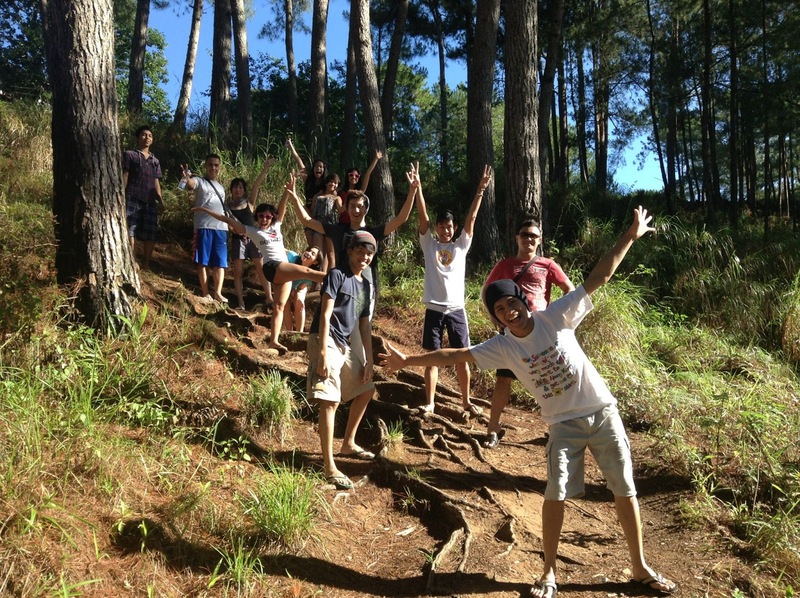 Our trip to Sagada was an opportunity to relax after the 3rd Philippine Summer Ball competition in Baguio. Dancers from all over the country participated, and my partner and I finished as fourth placers in Grade C Latin and were in Top 11 in Grade B Latin—yey! Aside from being competitors, we were also staff members and organizers of Summer Ball, so we were looking forward to this Sagada trip to blow off some steam after that busy weekend. Upon arriving in Sagada, we checked in at the very cozy and quaint Masferre Hotel. We got to choose which rooms we liked, and naturally I chose one with a balcony so I could smoke. 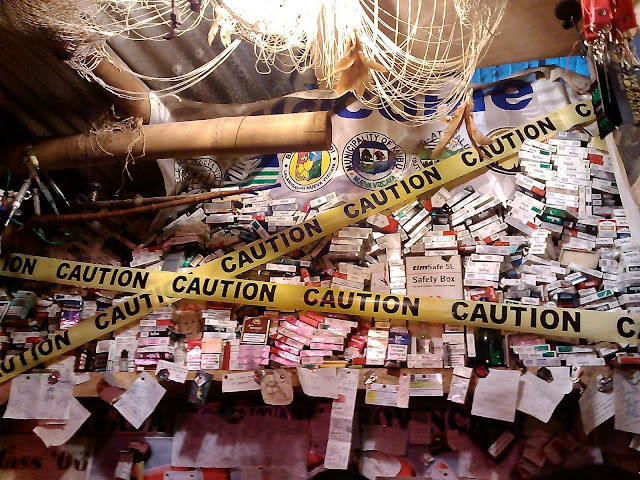 When I saw our room, I instantly loosened up. Incredibly spacious and cold—no need for air-conditioning! The balcony was perfect for yosi sessions and looking at the mountains. It was just awesome! We settled in and made plans for the day. 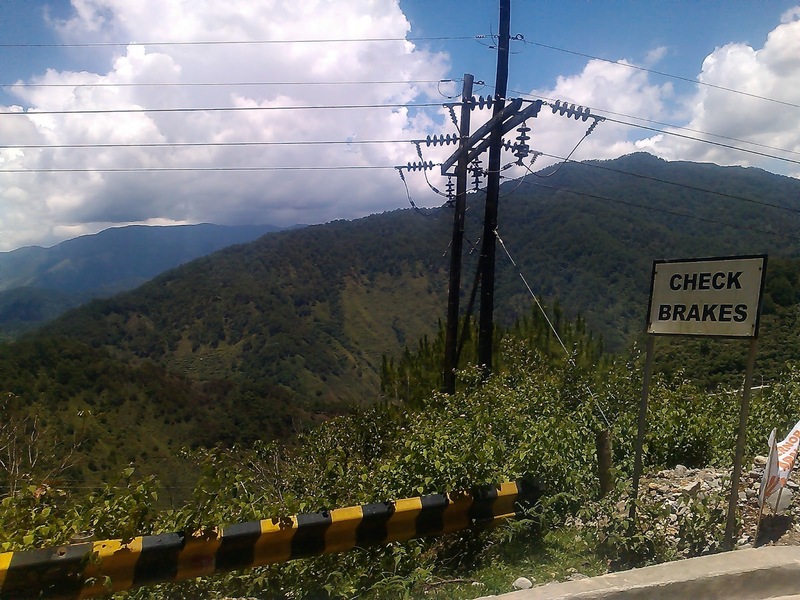 We had wanted to go caving that afternoon but it rained so hard so we decided to postpone it to the next morning. 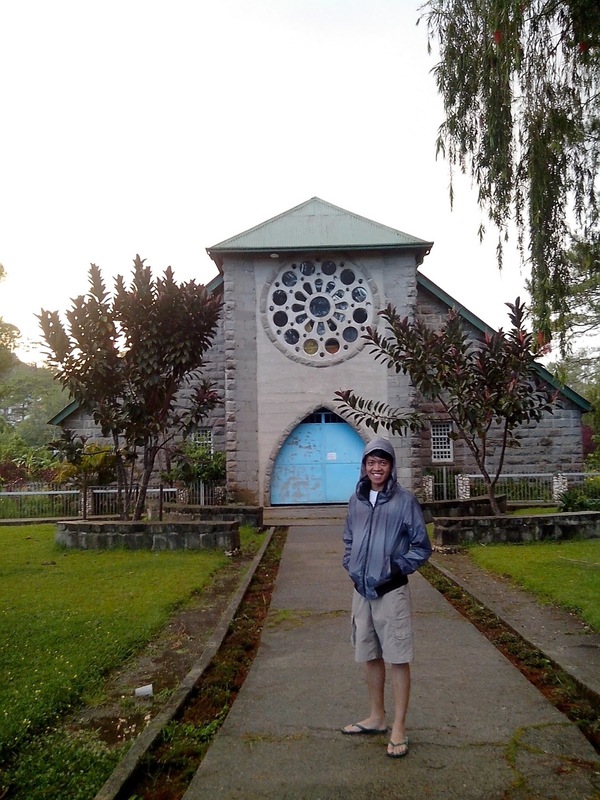 Our first day in Sagada, then, was spent in a nearby museum, the Ganduyan Museum, wherein we learned about Igorot culture from an elderly woman who spoke flawless English. There were lots of interesting knickknacks in the museum like beads, kitchen utensils, weapons, bags, woven fabrics, statues, and house decorations which are used to ward off evil spirits. All of these were handmade by the incredibly talented Igorot people. Outside the museum were some fish ball and kikiam stalls, so we munched on some street food before going to our next stop, which was the Church of St. Mary the Virgin. It was only a short walk to the church, and in order to go there we treaded the muddy path and marveled at the trees lined up on our sides. We weren’t able to enter though, because the church was closed. 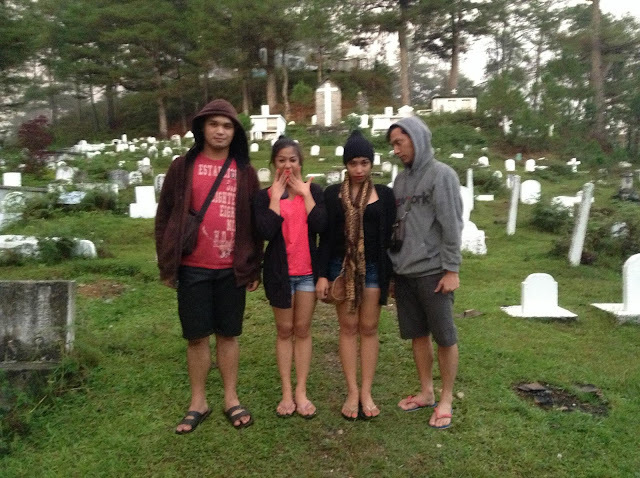 Farther along the path was the Sagada Cemetery, which was to be honest, a bit creepy for me. My friends took some pictures of themselves there; I refused to, lest I find myself with a ghost behind me when that picture finds its way into Facebook. We attempted to go to the Echo Valley, but it was quickly getting dark so we found ourselves stumbling backwards. 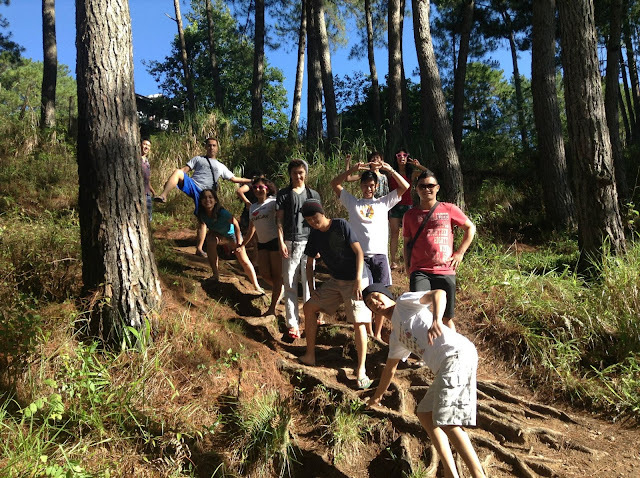 While trekking, we were shouting random words into the void, into the dense forest, thinking that if we heard our voices bounce back, then it means we were already in Echo Valley. I know, we are stupid like that, we are like that sometimes. Haha! 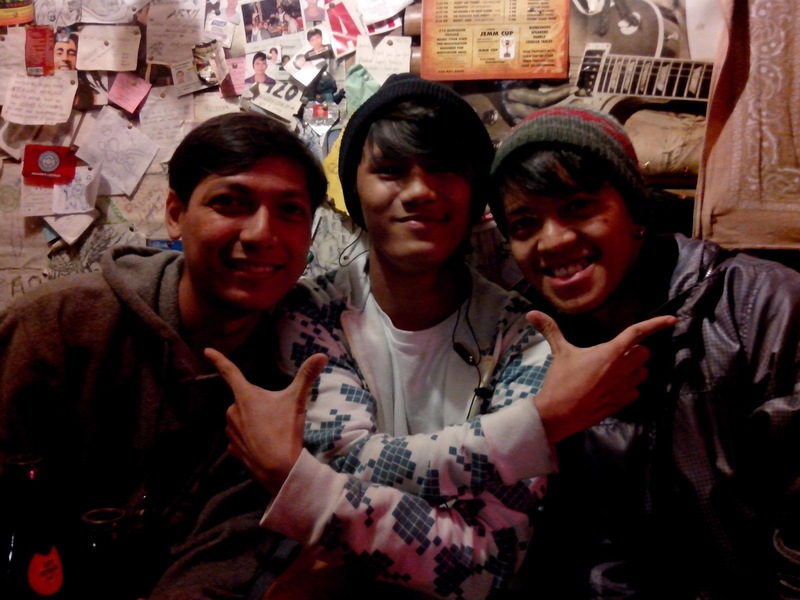 That night, we went to the Sagada Pine Café – an incredibly cool, reggae-themed bar reminiscent of Cubao X. The place’s concept was simple: grab a beer and sit anywhere you like. 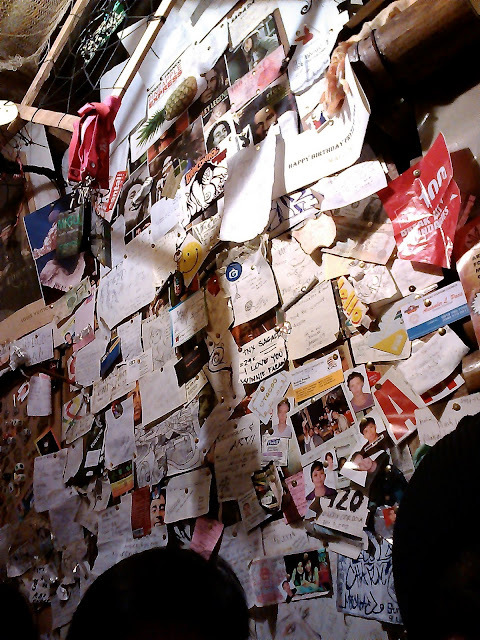 With its wooden benches, posters, and the organized clutter, one would think it was a bedroom of a high-schooler dreaming to be a musician, transformed into a bar. I totally loved the laid-back ambience and the relaxing reggae, bossa, and samba music. Good music and cold beer always blend well. Sagada Pine Café was truly an amazing way to cap off our night. After a few bottles of beer, we decided to call it a day and get some rest in our hotel. We didn’t, though—what makes you think we did? As I always say, a vacation should be maximized, so naturally we horsed around the hotel until we had no choice but to collapse into exhaustion. Our first day in Sagada was certainly a blast.